← Spring Week 2: Where are you, Spring? 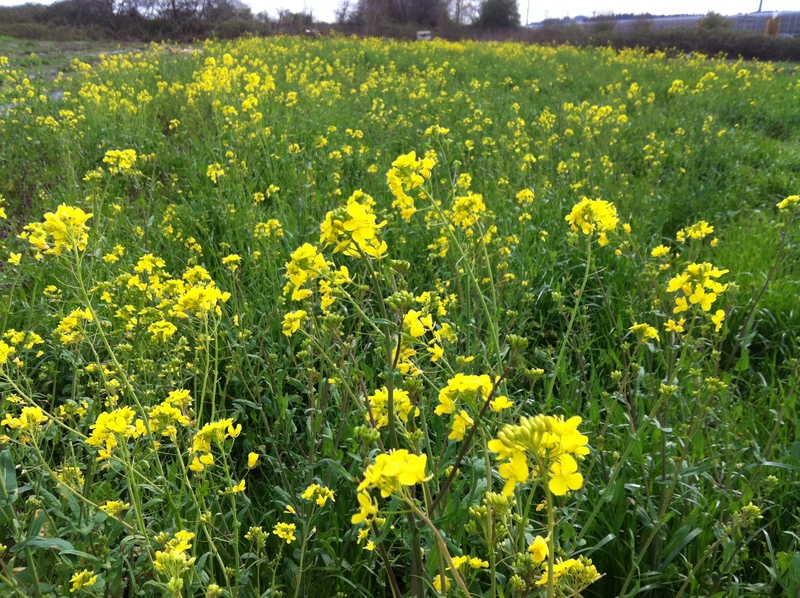 Wild Mustard blooming in April. What a difference a day of sun makes! The rain stopped for one day, and the plum trees started blooming. I saw the first honeybee, mason bee, and bumble bee of the year. The ospreys returned—I don’t know where they went for the winter, but they’re back to nest, in all their screeching glory. Finally, finally we got some planting done outside. Mike plowed on Friday, then waited for the ground to dry a little. Saturday he got it disced, but it was still sticky. Once it is opened up after all the pounding rain, though, it dries pretty quickly. Monday he hustled out with the tractor and tiller and got a patch ready for the low tunnels. Monday night he had it planted in spinach, radishes, and a bunch of salad greens. Tonight they are all ready for a little water and a plastic cover to convince them that it really is spring. Hopefully we’ll be picking the beginning of May. The sun came out and I got the bee boxes painted. All ready to set up for the honeybees! 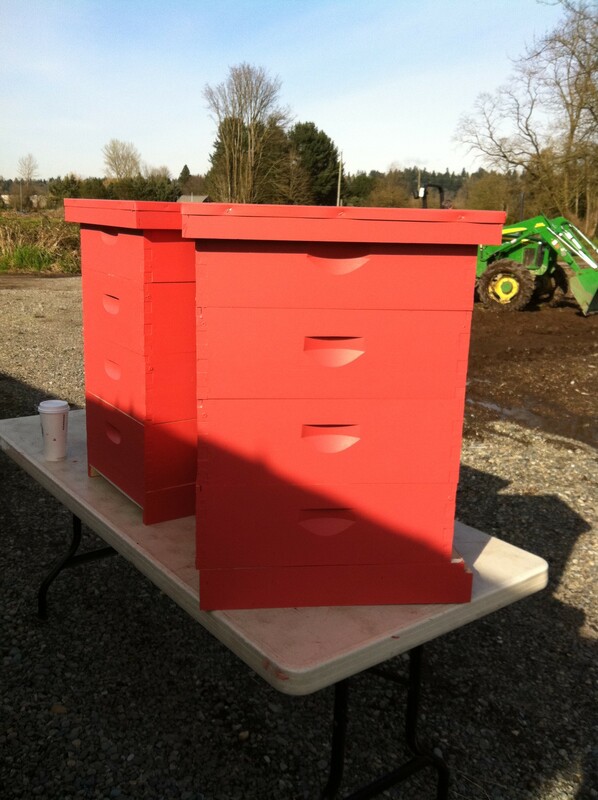 I got the beehives painted and the suit arrived Monday. My 3# package of workers and one queen will arrive around the 20th. Then the beekeeping adventure begins! Tuesday we’re hoping to get a bigger space tilled and planted, this time with fava beans, peas, and even more greens. These should end up for late May/June harvest. Fingers crossed for one more day of sun!